Award-winning bassist Paul Rushka has engaged audiences throughout North America, Europe and Asia with his sonorous tone, assured confident pulse, and eloquent soloing since 1997. Active as a performer, jazz composer, arranger, and educator, Paul focuses his creative energies on his interactive, intuitive quintet (recently expanded to sextet), which features his lyrical original compositions and dynamic group interplay. Their debut recording As It Happens (2011, Pagetown Records) highlights Paul’s strong basslines and deep grooves and demonstrates his ensemble’s formidable improvisations and conceptual cohesion. As a sideman, Paul is a first-call bassist in Vancouver, and also made a deep impact on the jazz scene in Montréal, where he resided for six years. He is featured on over a dozen recordings, including those of James Danderfer, Chad Makela, Jillian Lebeck, Laura Crema and Sharon Minemoto. He has performed extensively throughout Canada, including leading his quintet on a national tour in 2013, and has toured with the groups of Mike Allen, Denzal Sinclaire, Laura Crema, Karin Plato, and Jason Stillman. In 2006, he travelled to China for multiple performances with James Danderfer’s Accelerated Development project. Paul has appeared on stage with numerous jazz luminaries, including John Taylor, Joe LaBarbera, Julian Priester, Jimmy Greene, Danny Grissett, Jeremy Pelt, Brad Turner, Ross Taggart, Lorne Lofsky, Kirk MacDonald, Kevin Dean, André White, Joe Sullivan, Josh Rager, and many more. In 2003, Paul won a Western Canadian Music Award for Best Jazz Album for his work on the Mike Allen Trio’s Dialectic. He has also been featured several times on CBC radio with live and studio recordings on Jazzbeat and Hot Air. Paul holds a Doctor of Music degree from McGill University, where he was the recipient of a prestigious 3-year Joseph-Armand Bombardier CGS Doctoral Scholarship from SSHRC (Social Sciences and Humanities Research Council of Canada), which funded his research on the music of Kenny Wheeler. As part of his doctoral research, he travelled to London, England, on several occasions, where he met Wheeler personally, and made a substantial contribution to the organization of the Kenny Wheeler Archives at the Royal Academy of Music. Along with fellow scholar Brian Shaw, Paul presented his research on Wheeler’s music at the Royal Academy in February 2014 as part of their year-long museum exhibition “Kenny Wheeler: Master of Melancholy Chaos,” which celebrated Wheeler’s generous donation of his music to the Academy. Paul also received his Master of Music degree from McGill, where he was awarded a distinguished Schulich Scholarship to pursue his education. While attending McGill, Paul studied jazz performance practice and composition with André White, performance concepts with saxophonist Rémi Bolduc and trumpeter Kevin Dean, and composition and arranging with Joe Sullivan. In November 2009, the McGill Chamber Jazz Ensemble premiered Paul’s Captive Spring Suite, a three movement work for 11 musicians, which featured drummer Joe LaBarbera as guest artist. 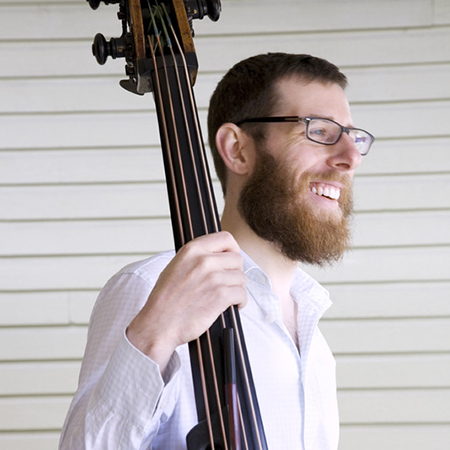 Paul earned his undergraduate degree from North Vancouver’s Capilano University Jazz Studies program, where he studied jazz bass with André Lachance and Chris Nelson and classical bass with David G. Brown. In 1998, Paul attended the Banff International Workshop in Jazz and Creative Music at the Banff Centre for the Arts, where he had the opportunity to learn and interact with an international faculty that included bassists Don Thompson and Ray Drummond, as well as trumpeter Kenny Wheeler, clarinetist Phil Nimmons, and trombonist Hugh Fraser, among others. In addition to his formal education, Paul has also undertaken private studies with famed bassist Larry Grenadier and world-renowned pianist John Taylor.